The Heidelberg Catechism is one of the most significant teaching documents in the Reformed Faith. This year marks the 450th anniversary of its publication. (For some background and the entire document, check this out.) It’s divided into questions and answers for each week (Lord’s Day), and throughout this year I’ll try to offer some brief reflections. Q. 12. Since, then, by the righteous judgment of God we have deserved temporal and eternal punishment, how may we escape this punishment, come again to grace, and be reconciled to God? A. God wills that his righteousness be satisfied; therefore, payment in full must be made to his righteousness, either by ourselves or by another. Q. 13. Can we make this payment ourselves? A. By no means. On the contrary, we increase our debt each day. Q. 14. Can any mere creature make the payment for us? A. No one. First of all, God does not want to punish any other creature for man’s debt. Moreover, no mere creature can bear the burden of God’s eternal wrath against sin and redeem others from it. Q. 15. Then what kind of mediator and redeemer must we seek? A. One who is a true and righteous man and yet more powerful than all creatures, that is, one who is at the same time true God. A. Because God’s righteousness requires that man who has sinned should make reparation for sin, but the man who is himself a sinner cannot pay for others. A. So that by the power of his divinity he might bear as a man the burden of God’s wrath, and recover for us and restore to us righteousness and life. Q. 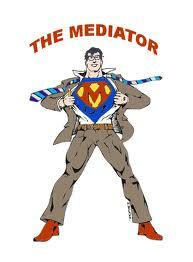 18. Who is the mediator who is at the same time true God and a true and perfectly righteous man? A. Our Lord Jesus Christ, who is freely given to us for complete redemption and righteousness. Q. 19. Whence do you know this? A. From the holy gospel, which God himself revealed in the beginning in the Garden of Eden, afterward proclaimed through the holy patriarchs and prophets and foreshadowed through the sacrifices and other rites of the Old Covenant, and finally fulfilled through his own well beloved Son. This isn’t meant to be sacrilegious, just humorous! God’s infinite righteousness requires that sin be ‘paid’ for in order for us to reconciled to him. Humans cannot make that payment, because we are dead in our sin and add to it daily. Other creatures (e.g. angels) cannot make that payment, because it is not their debt, nor could they bear the wrath of God against that sin and survive. God can make that payment, but he does not owe it. The only solution is what Anselm called “the God-Man”, that is, one who is truly and perfectly God (and thus able to satisfy God’s righteousness and bear the punishment for sin) and also truly and perfectly human (and thus able to represent the guilty and make the payment in their place). The second set of questions elaborates on this, and then throws in the beautiful reminder that this Mediator had been appointed by God from all time and first revealed in the Garden, immediately following the Fall (Genesis 3:15, what is called the protoevangelium, or “first Gospel”, that promises One who will crush the head of the serpent) and then revealed more and more throughout the Old Testament. These two sets of questions establish two main points of doctrine: the person of Jesus Christ and the work of Jesus Christ. We believe in one Lord, Jesus Christ, the only Son of God, eternally begotten of the Father, God from God, Light from Light, true God from true God, begotten, not made, of one Being with the Father; through him all things were made. For us and our salvation he came down from heaven, was incarnate of the Holy Spirit and the Virgin Mary and became truly human. Jesus Christ was and is truly God and truly man, two natures in one person, and as such is our only Mediator (1 Tim 2:5: “For there is one God and one mediator between God and men, the man Christ Jesus…”). For more Reformed confessional thoughts on the incarnation, check out my previous post. To the second point, while there are many who criticize the satisfaction theory of the atonement as being too cold, mechanical, or–in Anselm’s case–feudalistic, it remains a concise, helpful, and biblically accurate way to refer to Christ’s work. Scripture often uses “payment” language as a way to describe what Jesus Christ accomplished on the cross (e.g. ransom, redeem, purchase; 1 Peter 1:18, Revelation 5:9, Galatians 4:5, Titus 2:14, etc.). First, the Church has typically rejected the idea found in the writings of some early Church leaders like Origen who thought that God made a payment to the Devil in order to redeem his people. The better way to understand it is that God, in the person of Jesus Christ, satisfied his own righteous Law and took our punishment upon himself. God was not in debt to someone or something outside of himself to which he had to make payment. Second, this isn’t referring to some abstract, mechanistic, or literal idea of ‘payment’, but is intimately bound up in the suffering, death, and resurrection of God the Son who took on flesh. On a certain level, the language of payment is a metaphor (I use that word carefully and even a bit hesitantly) that is a way for us to understand, in some small way, what the Triune God accomplished for his people. In a few short questions and answers, and with brief yet rich language, the catechism lays out some of the most important truths about the person and work of Jesus Christ. He is truly God and truly man. He accomplished for us what we could never accomplish for ourselves, and what no one–or no thing–other than he could accomplish.